Behind the scenes of Doctor Who. Matt Smith and Karen Gillan journey from Belfast to London, taking in emotional visits to their home towns along the way. 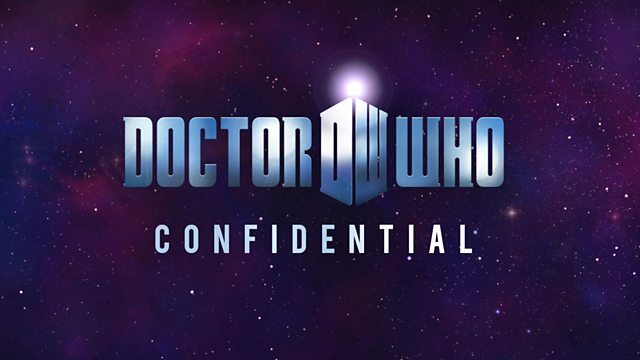 The Confidential cameras follow the Doctor Who team as they travel the length and breadth of the UK to launch the new series, getting up close and personal with Matt Smith and Karen Gillan as they journey from Belfast to London, taking in emotional whistle-stop visits to their home towns along the way. There's exclusive access and personal insights from everyone involved with this unique tour. Digging deeper into the making of episode 9, there's a look at the creation of the stunning underground city and the lowdown on what it took to create the earth-shattering climax to this epic adventure.